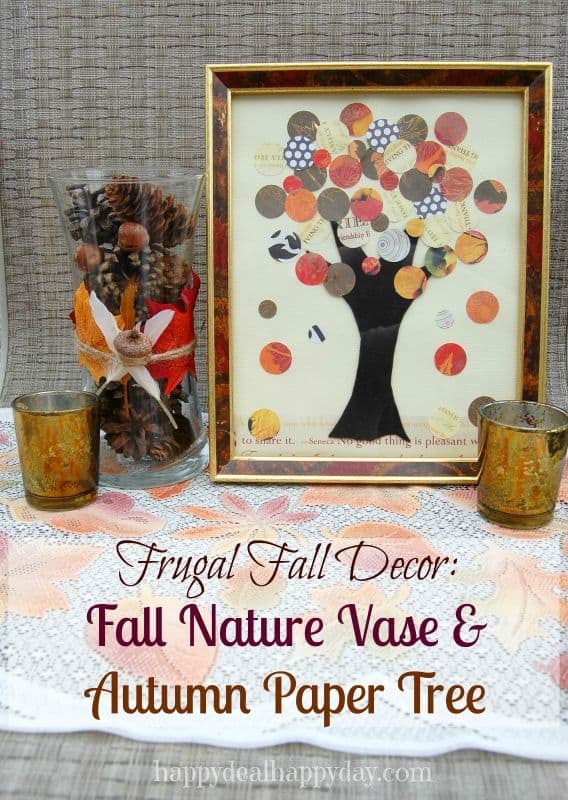 Frugal Fall Decor: Fall Nature Vase & Autumn Scrapbook Paper Tree | Happy Deal - Happy Day! This fall Tablescape is perfect for those who want to decorate on a budget, or who aren’t crafty! This is inexpensive and EASY!! if you don’t need so many. 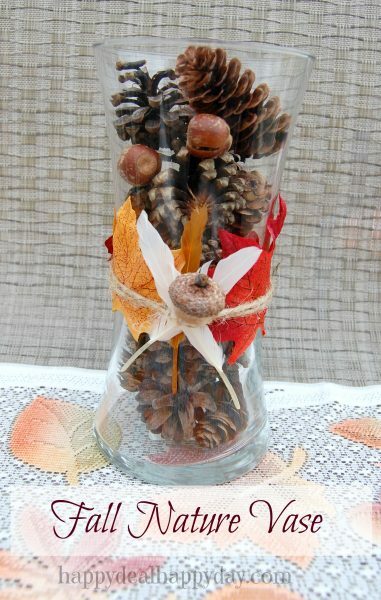 This is really easy – you just fill the vase with small pinecones & acorns. I hot glued on 3 leaves around the vase. I then tied some jute twine around the center, and added some feathers and acorn in the center. 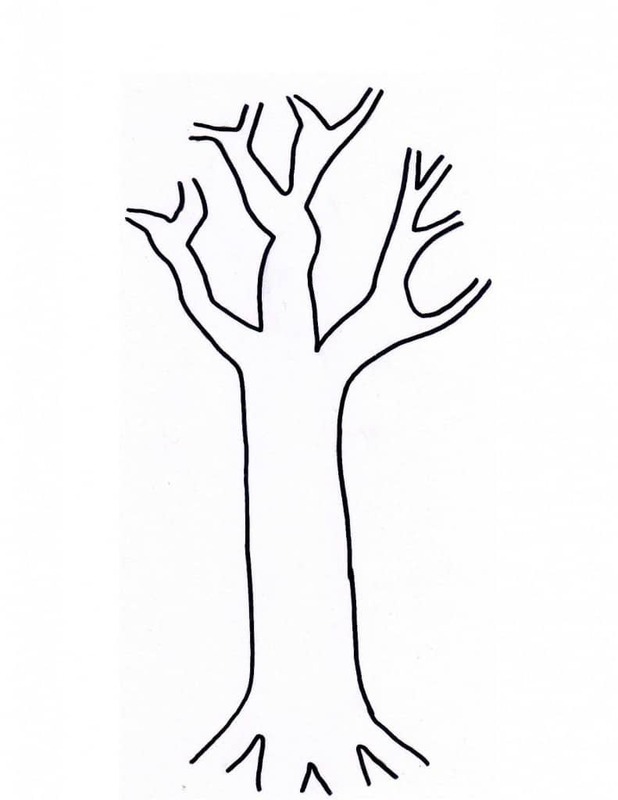 We used a stencil of a tree trunk similar to the one below. Draw and cut it on card stock. Then outline it in with white chalk on the brown felt. Then cut your tree trunk out of the brown felt. Glue that on to a whole sheet of 8X11 cardstock. 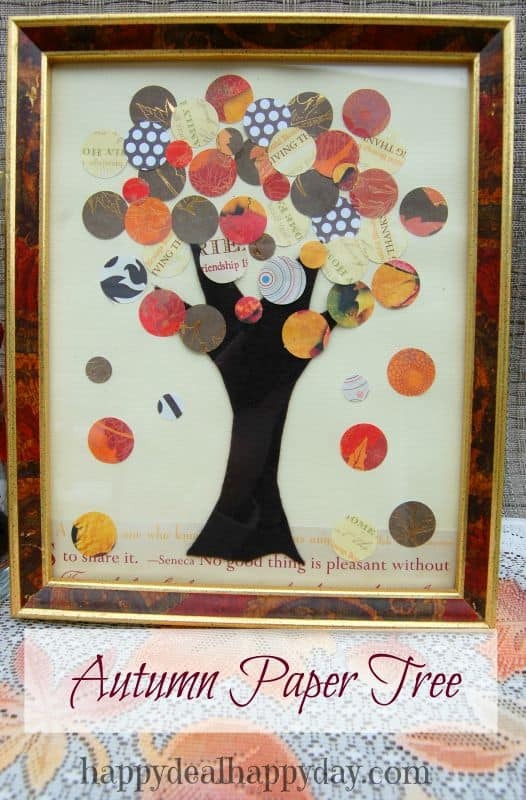 Add “leaves” to your tree – use various size circle punches and a variety of scrapbook paper to get the tree look you want. This table decoration will be wonderful to display during your turkey feast! If you are looking for the lowest turkey prices of the season, then go here for the local turkey price deals. ← $0.75 off any 2 Jars of BARILLA Pasta Sauce Coupon = $1.54 Pasta Sauce at Wegmans!